Lots of stuff coming up this month but I wanted to call out a few highlights. Be sure to check out my Guide To Local Events page to see blog posts and photos from the event's I've attended. 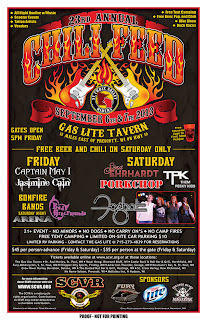 9/6-9/7 (Fri & Sat): 23rd Annual SCVR Chili Feed. 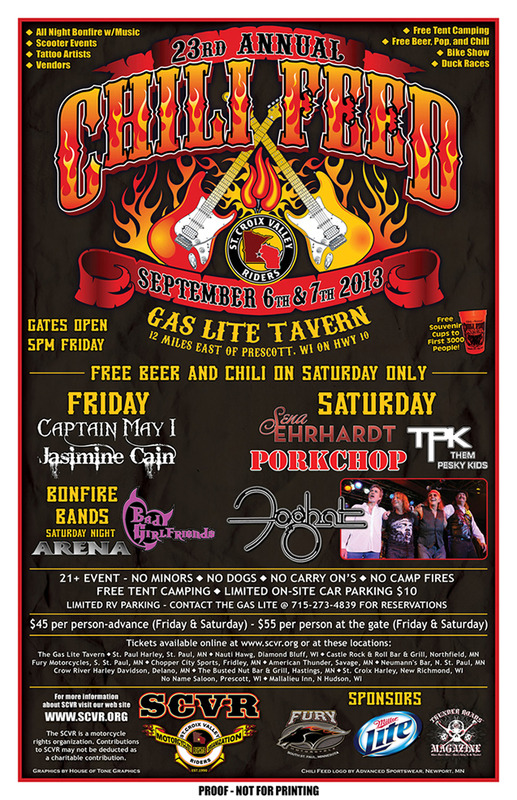 Camping, chili, music, fire, all-you-can-drink beer, and much more. I have attended this event twice and look forward to attending it again but I can't go this year. I highly recommend it so go have fun without me. 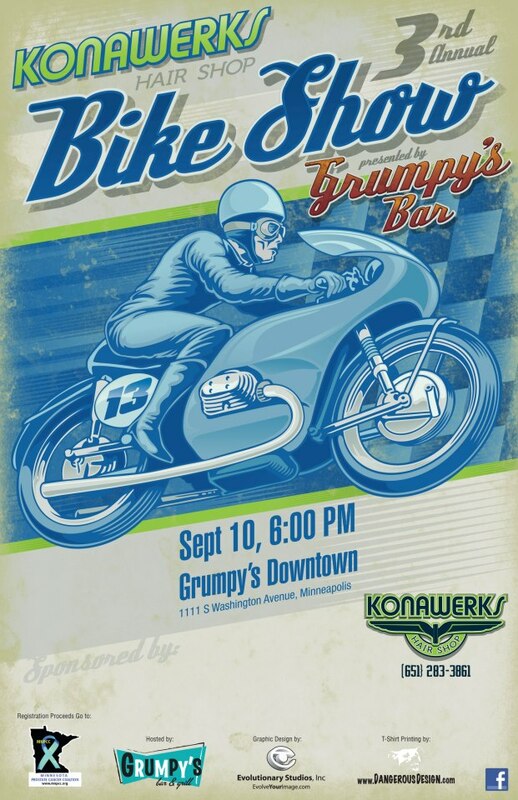 9/10 (Tue): 3rd Annual Konawerks Bike Show at Grumpy's. I missed the first two years but am looking forward to checking it out for the first time this year. 9/14: (Sat): Rad's Extra Sharp Motorcycle Show. 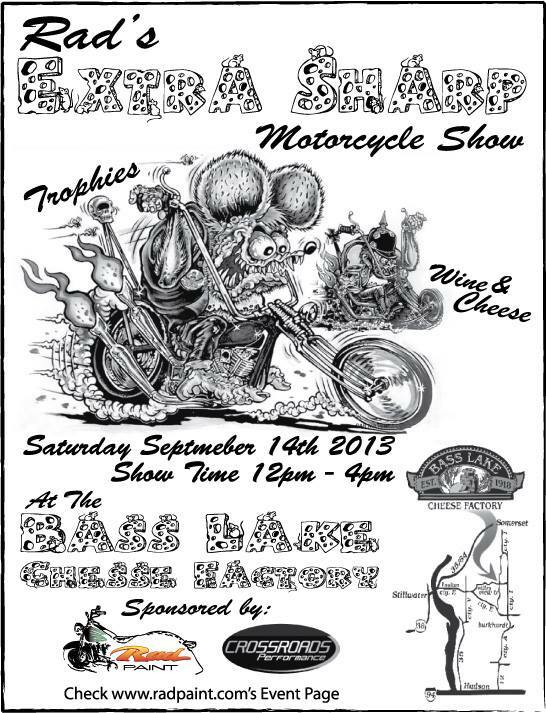 I like this little show held at a cheese shop in Wisconsin. Maybe it's because I've won an award the last 2 years. Maybe it's because my blog has "cheese" in the title. With the sorry shape of my Sporty's rear fender right now, I don't see a three-peat in my future but you never know. Maybe Tom will be nice to me or maybe no other Sportsters will show up. 9/21 (Sat): 48th Annual Fall Flood Run. Should need no explanation. Go. 9/29 (Sun): Distinguished Gentleman's Ride. 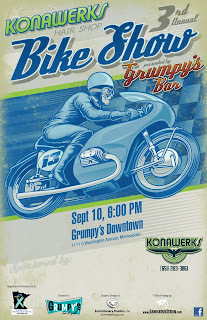 I am so tempted by this event - ride around the Twin Cities in a suit and tie. Based on photos and videos I saw from past years, I'm not seeing any American bikes - mostly vintage Japanese and European bikes. Maybe I'll crash the party and maybe I won't. Either way it should be quite the spectacle, both for those riding and confused onlookers.